We create for an additional voice. We create to express. We create for ourselves. We create to please the muse. Our Art stands for a voice in the wind, charting a course through the Chicano continuum. Art for OUR Sake keeps the spirit alive, our culture strong, and the identity of a mixed-race individual experimenting a resurgence of aggression that has never wavered. We battle with our wit, and with our persistence to succeed and thrive. This exhibit advances La Raza forever forward in the Arts. Art for OUR Sake demonstrates a collective of Chicano/a artists producing creative works that promote L.A. culture, identity, and registers the path of the Chicano Aesthetic. Our intimate collection of artists (Eastside Collective) came together in efforts to surge a return of the arts back to East Los Angeles. Our goal is to deliver a revitalization of culture, a spiritual union, and respect for heritage to our communities. 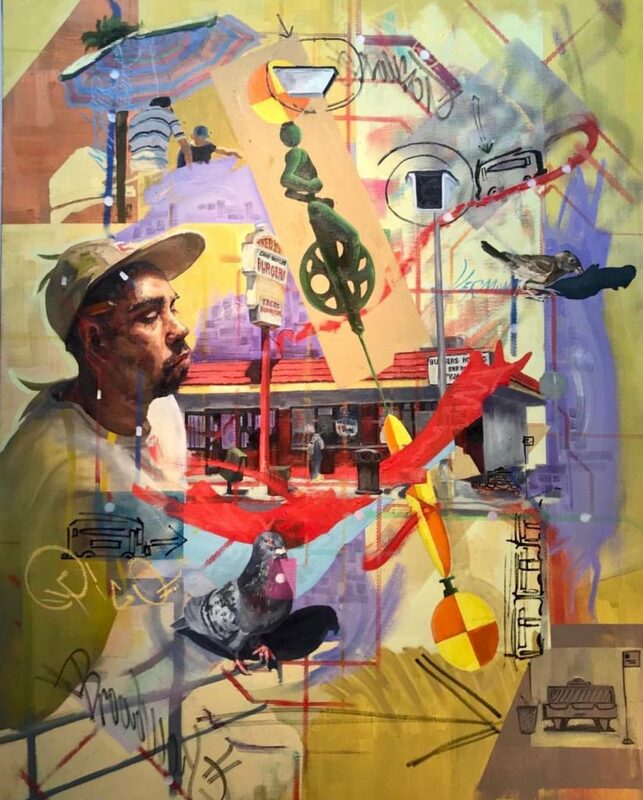 Eastside Collective hopes to inspire more opportunities to showcase Los Angeles culture by providing a public space for emerging artists in our community. Joel Aguilera, Saul Aguilera, David Avalos, Juliana Bustillo, Patrice Cooley, Jesus De Dios, Daniel Escamilla, Brenda Holguin, Ivan Godinez, Raul Gonzalez, Edson Gersain Martinez, Elmer Guevara, Mario Gutierrez, Tidawhitney Lek, Manuel Lopez, Steven Lopez, Julian Macias, Benjamin Morales, Andrew Murga, Señor Quiza, Brian Rojas, Raquel Rojas, Rey Sepulveda, and Josh Vasquez. Exhibition Dates: December 8 through January 26, 2019.